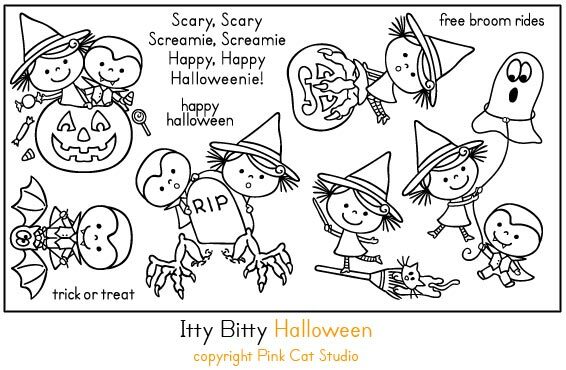 Today is the day for the Pink Cat Studio release of Itty Bitty Halloween! You can get your set —>HERE! I thought this image and sentiment were SO cute! Well, I LOVE to be green! And NO! I don’t mean my witches face!! I mean RECYCLING! So back to being GREEN……. I save ALL my Crystal Light drink mix cups. Once I make a pitcher, I rinse out the cup and put it in my stash to later re-use them on gift packaging. I just pop it through the front of my tag, and filled it with Chocolate candy crunch balls, wrapped like eyeballs! It only fits 3 or 4 so its PERFECT for when you need a LOT! You can sparingly give the candy! LOL! I’m bummed that the glittery moon doesn’t show up glittery! Anywho, I have another “green” project for ya! How about covering a black paper bag? You know those cheapie lunch bags you can get at the Craft store? Some come in colors. Then take it and make a COOL Pop Up bag? Now this is WAY cooler than MOST standard covered bags! Its totally 3 D! All I did was take some black cardstock, and folded it like a card. Flipped it up side down (fold at bottom) and “decorated” what would be the INSIDE of the card. Then adhered it to my bag front! Using dimensionals and the pop out cardstock form you would use for a pop out card, I adhered the kiddies to the base! I just love this fun bag cover! So there you have my last contributions for the countdown, with the ever adorable Itty Bitty Halloween Set! Check out all the designers blogs for more great samples. Today is post #2 for today, so be sure to scroll on down! I have been quite busy switching creative gears back and forth. It can really confuse the MOJO, let me tell you! I know, I just took you through Christmas, but now we are switching gears back to Halloween! How cute is this little project? The creepy monster popping out of the grave!! I wanted to go for slightly creepy in a cute way! Make sense? I’m not a scary/creepy kind of girl. I’m more cutesy. TODAY the My Timeless Template: It’s on the House, was released! I seriously LOVE it to pieces! I HAD to use it when I saw this creepy, crawly image! I printed my template, then scored it, every 1/2 inch, to look the house boards. I also distressed it a bit. Now I could have gone TOTAL haunted house with this, but I wanted the image to be the focus, and of course—> POP!! I didn’t want to get off track by creating just a haunted house. Going with creepy and cute…some details…. I used some layered buttons-white, avocado, and colored BLING to make a 3D eyeball sticking out of the image! EW! The hands look like they are going to grab it! I also used a button and MORE colored bling, along with some embroidery floss for a fun-and cute spider like detail on the ribbon. The ONLY spider I would ever think of calling CUTE! LOL! Then the lil bat punched out, holds the “trick or treat” tag. I just like it. Inside this I would put a bag of gummy bugs (they sell them at Target). My kids actually found them, and ate them before I could use them here-SORRY! Gotta love it. The glittery white layer is suppose to be the full moon! LOL! How seriously cute is the sentiment? I love her! I love the cutesy scared look she has on her face as she holds closed that creepy cute pumpkin, for dear life! LOL! I added a web and spider stamp to the background. The candy corn is some ancient patterned paper I found in my stash, so I cut out the candy corns. This was an EASY PEASY project. Well I am done for today! Lots more to share tomorrow. You don’t have to wait long since Melissa is releasing them early for you! No long ended suspense! On a side note 😀 I cracked open my Cricut!! I was honestly PETRIFIED of it! Once it was open it just looked so complicated and overwhelming. But, I watched the intro video and found that VERY helpful!!! After seeing that I wasn’t scared at all. They did an excellent job explaining all about it, I feel. Especially since I’m a visual person. I’m not good at “reading” instructions. I need to see it, or DO it myself. I actually used it today to make the tags, layered flowers/leaves on Amber’s birthday party favors! Its a FUTURE My Timeless Template 😀 so I’m not sure when I will share the photos. Trust me though, its FABULOUS! One of my faves so far! I also used my Sure Cuts Alot program for the tag part. Not sure if I did all that stuff correctly-I had to have a cartridge IN my Cricut to even get the paper to load prior to printing the tags I designed, using just the stuff that comes with the SCAL 2.0 program. I bought a couple of other .svg files to test the waters too, but couldn’t “play” too long as Amber’s party is Sat, and we have a FULL schedule this week. I’m on major crunch time. OK I’m really done now!LOL! Anyone with SCAL 2.0 advice-please share! LOL! I’m so clueless. I have to check out some of the links to videos people sent too! It is hard to even know where to start some times.